For some, trying a new sport causes an adrenaline rush. For others, it creates anxiety. If you fall into the latter category, it is completely understandable that the prospect of going skiing would leave you feeling intimidated. After all, it does require affixing thin sticks to the soles of your feet and navigating down a slippery slope! Who wouldn’t be a little apprehensive? But here's the good news: You don't have to let fear hold you back. If you follow these four steps, you'll be rocking the bunny slopes in no time. Plan ahead so you can worry less and truly enjoy your adventure. To that end, start your ski day off right by packing your gear in a sturdy, water-repellent bag. Inside my bag, I use packing cubes to keep my mittens, liners, goggles, hand warmers, balaclavas, hats, and extra layers separated. Having my stuff organized helps me get out of the lodge and onto the slopes faster. At the lodge, most people leave their boot bags under a table or in cubbies. If you aren’t planning to rent a locker for storing your belongings, you might want to invest in a cable lock so your bags stay safe while you are out having fun. It's important to set your expectations properly so you don’t feel discouraged or frightened. Just because your friends, your family members, their children, and just about everyone else you know skis, doesn’t mean you have to keep up with them on the first day—or even during the first year. Remember: It is not a competition. It may seem like the green trails, which are labeled "easiest" would be easy, but if you have never skied before, they won’t be. Plan to spend your first day firmly planted on the bunny hill. Should you choose to take a lesson, which I highly recommend, be sure to explain your inhibitions to your instructor. Creating a partnership between the two of you builds trust and will help you overcome your fears. At first, you will likely work on starting and stopping, using the "pizza wedge" method. (The "pizza wedge" is a move where you point the front tips of your skis together to stop yourself from moving forward, forming the shape of a triangle or pizza wedge with your skis.) You will be amazed by how confident you’ll feel when you have the ability to stop without doing a face plant in the snow. Once you have the basics down, like starting, stopping, and turning, you’ll need to negotiate getting on and off the chair lift. Most lift operators are skilled at spotting beginner skiers. This is a good thing! But don't be afraid to let them know, either. There is no judgment here. They will slow down the chair, making it easier for you to sit down and lower your bar. And don’t panic as you approach the top of the hill. It may seem scary to hop off, but there is a small, flat area to place your skis down and then easily push yourself away from the chair lift. Lessons can make an enormous difference when you're trying to build your confidence. I have been skiing for over 30 years, and I still try to attend a ski clinic annually. My favorite places to do this on the East Coast are Sugarbush, Stratton, or Okemo Mountain Resorts. These ski camps help me build on what I have learned and keep my technique in top form. 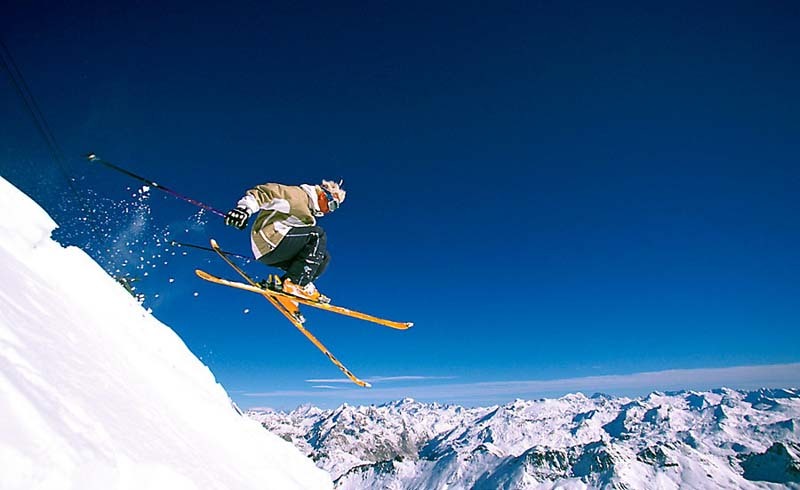 As with any new sport, practice and repetition build your skill set and will help you feel calmer on the slopes. 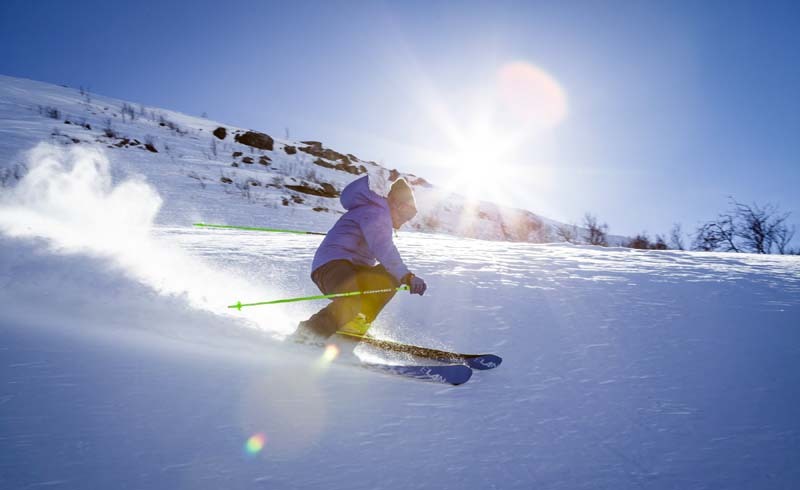 When you were a beginner skier, what tips helped you the most? Share your thoughts in the comments, below.